Josh Peckler - Jpeckler@shawmedia.com Mchenry Hurricane shortstop Garrett Bright holds up the ball after tagging out a Puerto Rico Cardenales player during the fourth inning of a MCYSA Summer International Championship game at Petersen Park in Mchenry Friday, August 3, 2012. Josh Peckler - Jpeckler@shawmedia.com Mchenry Hurricane's Joe Addante slides into second base while Puerto Rico Cardenale's Heydell Alicea (50) and a teammate attempt to tag him out during the 5th inning of a MCYSA Summer International Championship game at Petersen Park in Mchenry Friday, August 3, 2012. 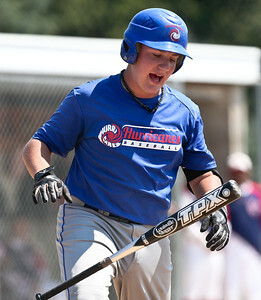 Josh Peckler - Jpeckler@shawmedia.com Mchenry Hurricane's Owen Oreskovich drops his bat after being struck out during the fourth inning of a MCYSA Summer International Championship game against the Puerto Rico Cardenals at Petersen Park in Mchenry Friday, August 3, 2012. 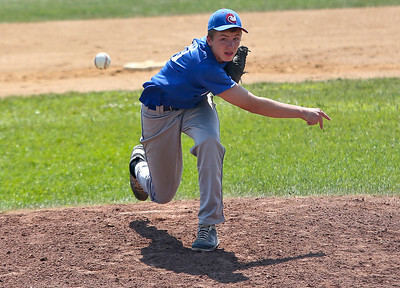 Josh Peckler - Jpeckler@shawmedia.com Mchenry Hurricane pitcher Mike Borst throws in a pitch during the 1st inning of a MCYSA Summer International Championship game against the Puerto Rico Cardenals at Petersen Park in Mchenry Friday, August 3, 2012. 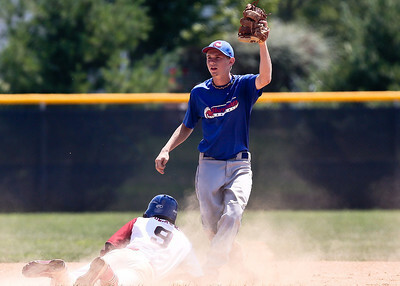 Mchenry Hurricane shortstop Garrett Bright holds up the ball after tagging out a Puerto Rico Cardenales player during the fourth inning of a MCYSA Summer International Championship game at Petersen Park in Mchenry Friday, August 3, 2012.